Here's a delightful essay by T. J. Wooldridge about the phases of research she went through for her middle grade novel The Kelpie. Makes me want to go to Scotland! It started at my friends' art studio. I'd taken a weekend away from home and dedicated it to my current Work In Progress, The Kelpie. I was about a third of the way through the book and I found myself getting lost in the castle I'd created for my characters to live in. The bout of writer's block was caused by a lack of information, so I went to remedy it by researching castles in Scotland and Scottish castles people might still live in. But I had a picture in my head, as clear as anything, and I knew driving directions and how long I'd figured it took my characters to get to various places. So, on one set of tabs, I was pulling up castles and inhabited castles in Scotland and using copious amounts my very generous friends' printer paper and ink. In another set of tabs, I was playing on Google Maps. Come to find out, the place in my head really existed. There happens to be an area on the eastern coast of the Scottish Borders (the area bordering England) that's an hour's drive east of Edinburgh, has a whole lot of land, is near tourist and fishing villages, and... wait for it... actually has ruins of an ancient castle. The location of my characters' castle fit perfectly where there currently exists a farm. That you have to hike through and by to get to aforementioned actual castle ruins. Only an hour's drive away from that area was this other lovely place, the Traquair House, or, the Oldest Inhabited House in Scotland. Which looks like a castle. It's AWESOME! I went home from that weekend with my friends with folders of research and drawings and maps and other fun research. As well as a wish to go to Scotland and explore for myself. Organizing the vacation was left to me, so we would spend half of it in the area my novel would take place. Including a luxurious stay at Traquair House. The Traquair House--besides providing me with an authentic Victorian princess-like bed to sleep on and an antique desk where I handwrote several postcards in fountain pen--also had actual secret passages and a fabulous history Hiding Important People during various wars. It also had a full-sized hedge maze and many hiking paths and abutted a nature preserve: all details I'd figured into my book before I knew this place even existed! On top of that, I got to interview the 21st Lady of Traquair about living in a historic home. I was already in editing stage at this point with my publisher, so I was quite relieved to find out how little I'd have to change. I'd gotten almost all my assumptions and guesses about things correct! And then came visiting the actual area where I'd place my MacArthur family castle. We stayed at another beautiful bed and breakfast and picked our hosts' brains about what might, in fact, happen if tourist children and local children started going missing, and there were bodies. (I assured them many times that this was for a novel! Hazards of interview-based research...) There was little I had to change based on these interviews, too. Then, finally, finally, we got to hike along the nature preserve and we sought out the castle ruins. (Locals frequently tell tourists not to go out there because it is a somewhat dangerous hike with more than a few cliff-edges right over the water.) Besides being teary-eyed and entranced the whole hike and thinking, "Oh my God! I'm IN MY OWN BOOK! ", I was looking for any more details I could add to make things more authentic. There were only a few, but they counted and I added them in: there's a man-made staircase of wood and packed earth for a particularly difficult and wet descent, mist is constantly rolling in and out even in June, there is a Hitchcock-ian amount of birds who all nest on the cliffs during June... and I severely underestimated the amount of sheep poop involved. In speaking with other writers, this isn't all that unusual an experience, either! Other writers get shocked when things they "make up" turn out to be real... so, perhaps there is a little bit of something magick that's clicked on in a writer's mind. Have you experienced any magick in your work that's leaked from the pages and your brain into real life? A Kelpie. A child-eating faerie horse had moved into the loch "next door." The two barely escape with their lives, but they aren't safe. Caught in a storm of faerie power, Heather, Joe, and Heather's whole family are pulled into a maze of talking cats, ghostly secrets, and powerful magick. With another child taken, time is running out to make things right. Learn more about T. J. Woolridge on her website. 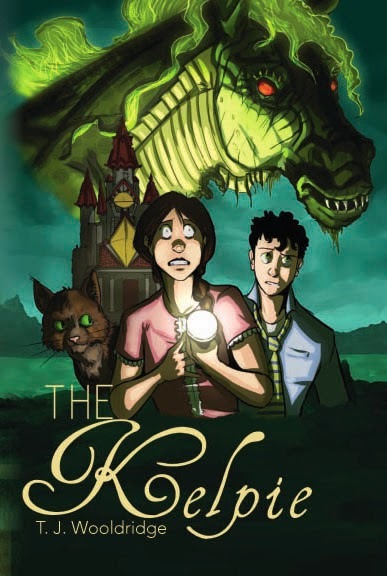 Buy The Kelpie on Amazon, at B&N, and at other online and brick & mortar retailers. I'm pleased to welcome Kristi Petersen Schoonover. Kristi writes short and long fiction in the horror vein, including her newest story, "This Poisoned Ground." Today she offers some great advice about a tricky technique: writing a scene or whole story as a flashback. The trouble was in the telling of a love story that spanned decades. In order to properly weight the horrific ending, the reader needed to understand that there was a developing situation over a long period. How should I do that? I couldn’t write the sentence ‘they argued for thirty years’ because then my ending wouldn’t be justified—the reader had to see how awful things were. Conversely, I couldn’t start at the beginning of their relationship and spoon it out because the story would crawl (true of all lengths: Don’t ever fill any space with things that don’t need to be there). But flashback’s a sticky wicket: There’s a right way and a wrong way, and doing it right can be a challenge. Here are my five tips for firm flashbacks. Ask. Is what’s being shared only illustrated effectively through flashback? Or can it be mentioned in the character’s current thought process? “He remembered when Dad drank seven sodas a day” doesn’t need a flashback built around it if it’s just a description to flesh out Dad’s personality. If, however, it sparks the beginning of Dad’s diabetes and the protagonist’s emotional response, or is integral to conflict between them, the answer to the flashback question may be yes. Pivot. In real life, a memory/reflection is triggered by something—an object, statement, smell, song. Use these “triggers” to usher in the flashback, making for a smooth transition. Does the protagonist find a cup her mother had given her, making her recall a specific incident which would reveal some critical aspect of their relationship? Use the cup to usher in the scene. In addition, be sure the pivot piece plays a role—no matter how minor—in the current time of the story; don’t use it as a throwaway device. Ground. Ground the flashback in time and place, and be clear: “twenty years ago, back on their farm” is preferable to “When I wore bell-bottoms on a Wednesday at fourteen minutes past the hour.” And yes, separators can offset a flashback, but a # symbol doesn’t substitute for solid grounding. Trim. Only show the critical bits. If the point is the protagonist has finally flipped her lid and it takes place at a restaurant, we may not need to see the couple meeting there, ordering, et cetera, but we DO need to see that when dessert is served, she tries to stab someone with a fork after a couple of lines of incendiary dialogue. Time. Make sure the length of the scene is appropriate. Too long, the reader is pulled out of the current story; too short, the reader could get disoriented. If it’s too long, consider breaking it up into a few flashbacks—or be certain that everything depicted is really necessary. If it’s too short, it may not need to be rendered in flashback; consider a brief mention within the current time instead. They say you hurt the ones you love most. No one ever talks about when they hurt you back. In the tradition of “The Fall of the House of Usher,” “Ligeia,” and Aura comes a gripping tale of love, lust…and regret. 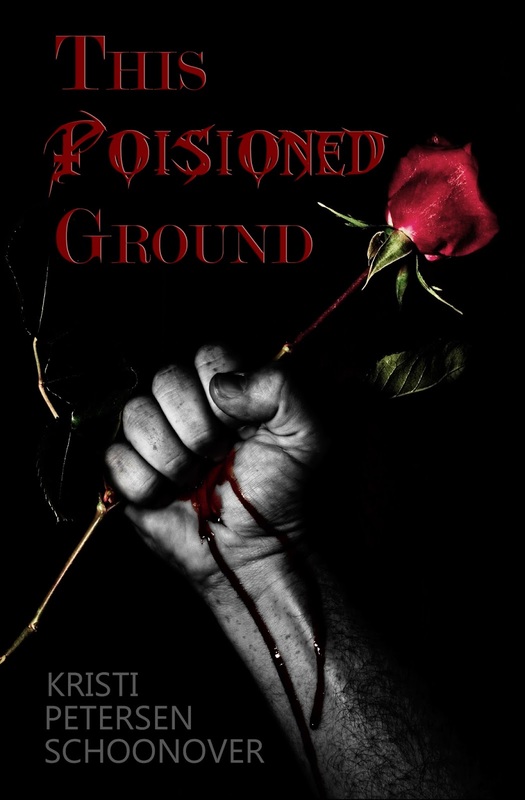 “This Poisoned Ground” will be in wide release January 28. For now, it is available for 99¢ in all e-formats at the publisher’s website. To learn more about Kristi Petersen Schoonover, visit her website. that he's joining us today to share a very interesting (and practical) perspective on storytelling. I ended up a writer, but my earliest ambition was to be a comic-book artist. One of my first memories is of lying on the shag carpet at my grandmother’s house drawing stick figure superheroes. (Superman was a blob with a cape and a curl, Batman was a blob with a cape and pointy ears). The first college course I took was on the Art of Cartooning. It was my first formal training, not only in art, but in storytelling. While other writers were analyzing Hemingway, Woolf, and Fitzgerald I was doing the same with Peanuts, Looney Tunes, and Marvel Comics. During that time I came across an instructional book that remains my favorite to this day: How to Draw Comics the Marvel Way by Stan Lee and John Buscema. Stan Lee is the co-creator (along with artists like Jack Kirby and Steve Ditko) of some of the most enduring characters in pop culture history. In 1962 alone Lee and his artists created Spider-Man, The Fantastic Four, The Incredible Hulk, and Thor (that last one with an assist from ancient Norse legend). Stan imbued his comics with a folksy, alliterative charm. The same goes for How to Draw Comics the Marvel Way. Stan boasts that by reading the book you will be able to tell your own stories in the “mildly magnificent Marvel style”. In spite of its cheesiness, the book contains solid tips on how to approach not just comic art but any kind of storytelling. In the book, artists are advised to begin drawing the figure using basic shapes, like circles and cylinders. After those basic forms are in place, you scribble lines to fill in the rest of the figure—after all, the drawing will be erased and covered in pen later. At that early stage there’s no such thing as a wrong line. That holds true for writing as well. A common cause of writer’s block is the fear that your words must be “correct” right away. But if you look at that rough draft as a scribble, you’ll see that there are no mistakes. In the same way that a comic artist traces over their previous work to refine their drawing, you’ll rewrite each word until it finds its proper inflection. How to Draw Comics the Marvel Way can tell you how to write a scene as well. It presents several examples of ”boring” composition, and then next to them shows the correct “Marvel” way of drawing the same scene. Their examples seem like self-parody, filled with extreme angles, high drama, and zero subtlety, but it’s an important lesson. Every scene you write should contain enough drama, even if it’s subtly portrayed, to keep the reader engaged. You don’t have to be a garish showman like Stan, but continually crafting interesting moments is the key to holding a reader’s interest. In drawing comics, you absolutely have to know what your story is and how it will be told before you begin drawing. The medium demands it. Fiction does as well. If you don’t know why you’re writing your story and where you would like it to go (even if the ending isn’t set in stone), your readers won’t know why they should be reading it. But the most important thing I’ve learned from comics about writing isn’t contained in the pages of How to Draw Comics the Marvel Way, but spread out over the collected works of Lee and his collaborators. For decades on end they just kept creating. Some of it was garbage, some of it was genius, but they kept at it, and the garbage made way for the genius and the genius elevated the garbage. Keep writing, no matter what it is, and you have no idea how far you can go. Excelsior! 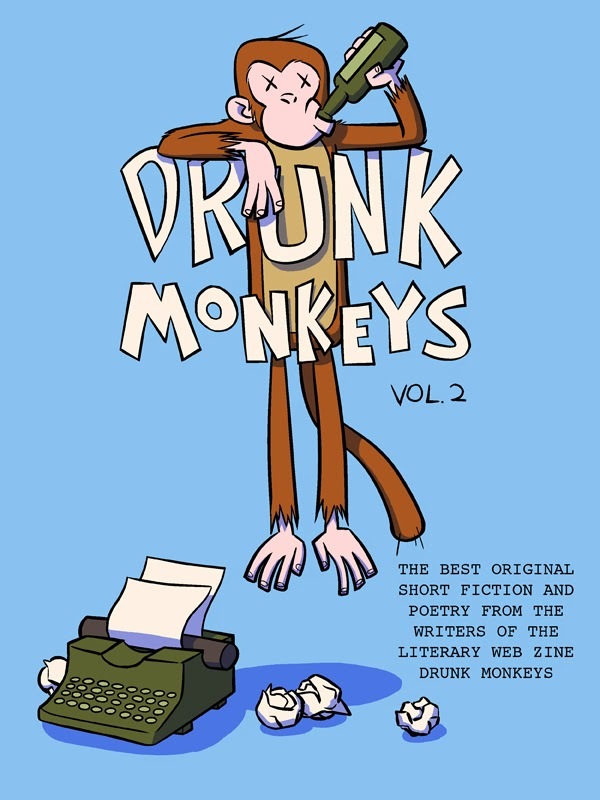 Check out Matthew Guerruckey's lit zine Drunk Monkeys and his indie publishing company Marginalia Publishing. Today my guest is Middle Grade and Young Adult author Suzanne de Montigny. Her first novel, The Shadow of the Unicorn: The Legacy, won the gold Global E-book award for Best Fiction/Alternate History. I asked her discuss her path to becoming a writer. And if you leave a comment at the end of this blog, you might just win a copy of her award-winning novel. Thank you for having me as your guest, Anne. I have to say I was mighty delighted when I heard the news I had won the award. It’s always nice to get a bit of verification that I’m on the right track. I’ve been writing most of my life, I guess, but I only got serious about it about six years ago, after my father died. You see, oftentimes when someone dies, people are stricken with hyperscribia, a humungous need to write. So they write a poem or a speech, and that’s that. Well, not with me. Turns out I’ve had a writer screaming to get out of me for quite some time. It all began when I was living the comfortable life of an unsuspecting teacher in a perfectly ordinary elementary school. Because I taught music, I taught just about everyone in the school. It was fun. I enjoyed being music teacher because kids see you in a whole different light. They share secrets with you, they talk to you about their problems, you know, that sort of thing. Then one day, it happened… I had just given a test and had five minutes to kill, so I thought I’d tell a story about a werewolf. I totally made it up on the spot, hiding behind the piano with all sorts of noise makers – howling, screaming, shaking rattlers, etc. I thought it was kind of a lame story, but when I came out the other side of the piano, thirty very round, terrified eyes stared back at me. Hmmm, they liked it, I thought. After that, every class ended with a story. Even kids I didn’t teach stopped me on the playground to hear my stories. Well, life went on and I got married and had kids. My husband and I were so busy juggling everything that we decided I’d take a couple of years off to raise our young boys. That’s when I began to write. 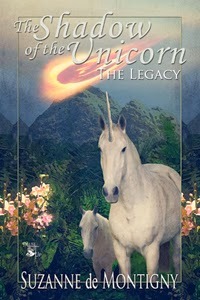 Then last year, my first novel, The Shadow of the Unicorn: The Legacy was published by Muse It Up Publishing. (Have I ever told you how great this publishing house is?) And now, it’s officially coming out in print. I just can’t wait! Woohoo! It’s like waiting for that baby to be born. The story doesn’t stop there. I’m just about finished the second of unicorn series. It’s called, The Shadow of the Unicorn: The Deception. I won’t tell what’s going to happen except to say, they find Darius again and are hit with another huge natural disaster happens. And I mean huge. Learn more about Suzanne de Montigny by visiting her website or following her on Facebook or Twitter. You can purchase The Shadow of the Unicorn: The Legacy directly from Muse It Up Publishing, plus on Amazon, Barnes & Noble, and other online retailers.